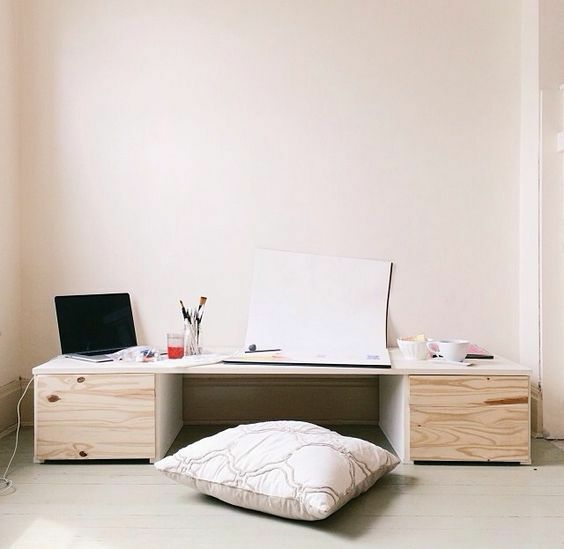 Today's floor desk adds some great storage space, while keeping things clean and simple. 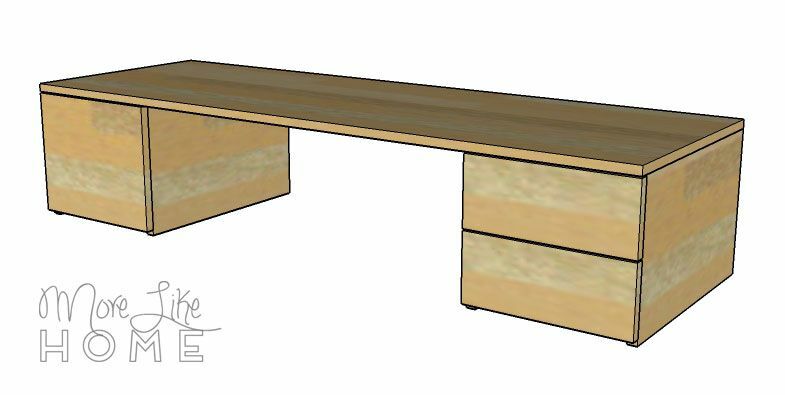 This desk has a drawer on each side to help keep office supplies or papers handy. For each side, you can choose between a single drawer or a stack of two drawers. 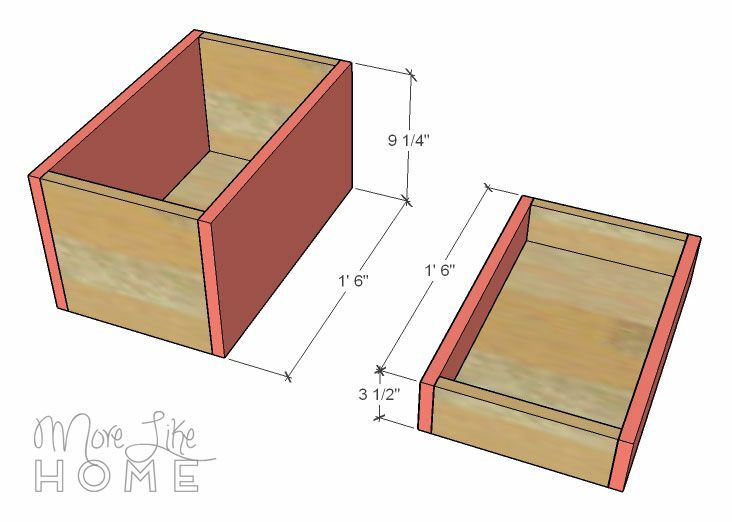 Make two boxes, one for each side of the desk. 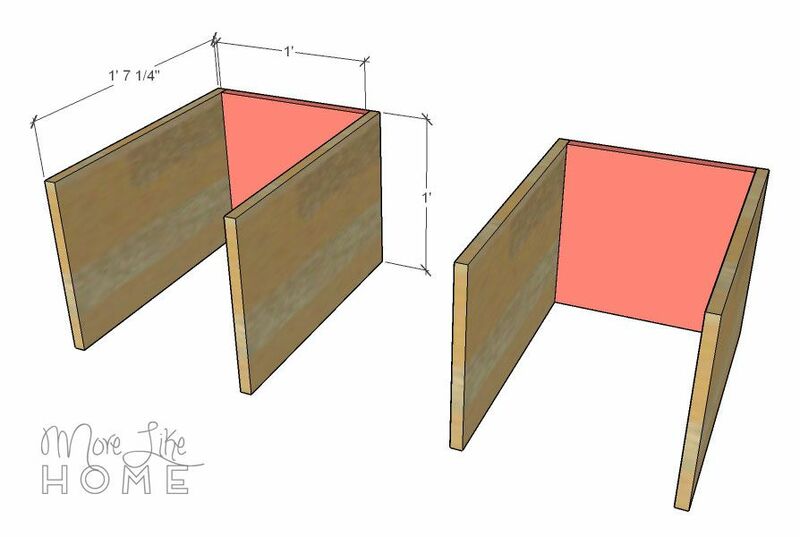 Start by drilling pocket holes along both sides of the back boards (B). 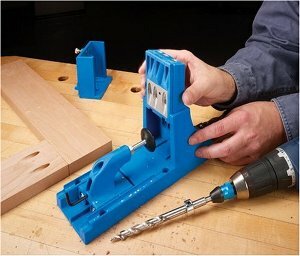 Use these holes and the pocket hole screws to attach a side board (A) on each side of the back boards. Drill pocket holes around the top of the sides and back boards, and use these holes to attach the boxes to the top. 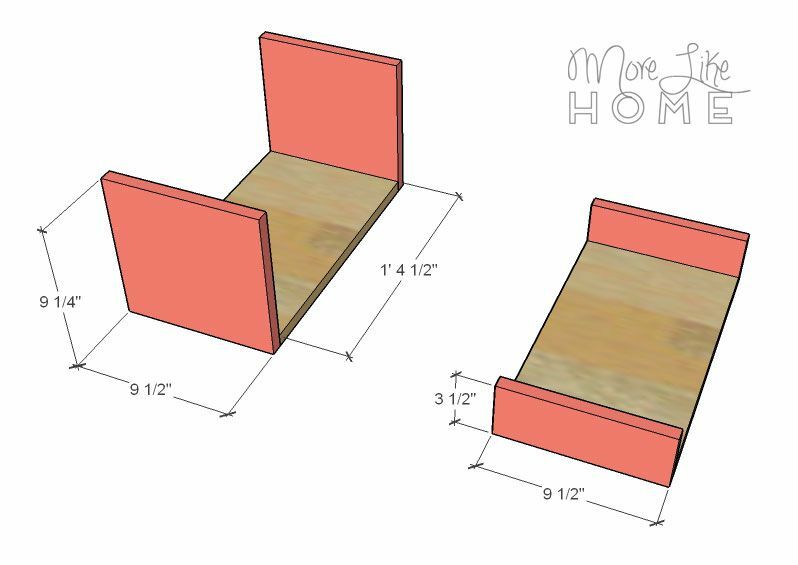 Each box should be flush with the side and back of the top, and set back 3/4" from the front. Make sure the sides of the boxes stay perfectly straight while you attach them or your drawer slides won't work smoothly later! Just keep everything flush, and make sure the sides are 12" apart at the back and front of the box. Don't let that front edge wiggle closer or farther than 12". Now build your drawer boxes. 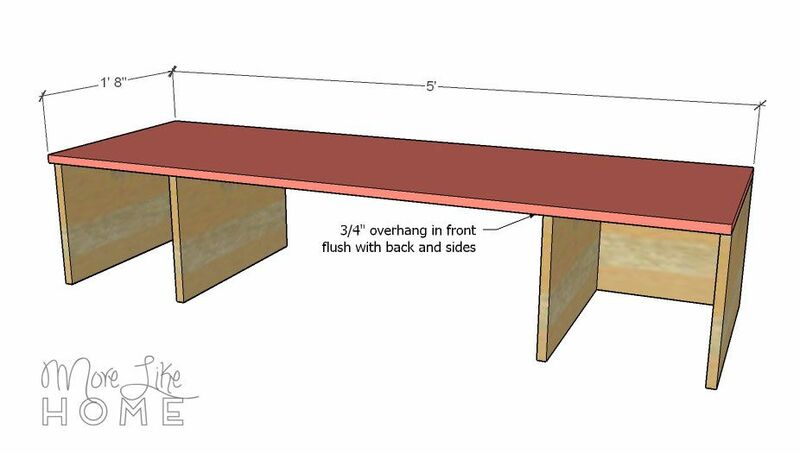 For the tall drawer, attach a drawer back (E) to the front and back of the drawer bottom (D) by drilling through the back boards into the ends of the drawer bottom with 1 1/4" wood screws. For the short drawers (remember you're making two of these per side! 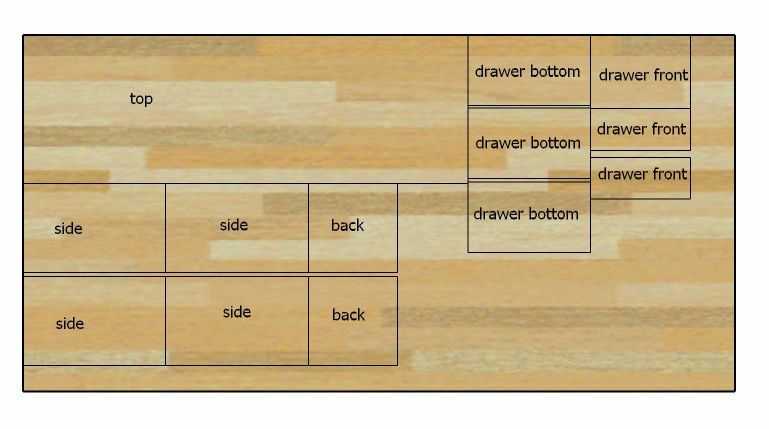 ), attach a drawer back (I) to the front and back of the drawer bottom (H) by drilling through the back boards into the ends of the drawer bottom with 1 1/4" wood screws. For the tall drawer, attach the drawer sides (F) by drilling through the sides into the bottom and backs of the drawer with 1 1/4" wood screws. For the shorter drawers, attach the drawer sides (J) by drilling through the sides into the bottom and backs of the drawers with 1 1/4" wood screws. Install your drawer boxes into the desk. These are built to allow 1/2" of space on either side to accommodate standard drawer slides. 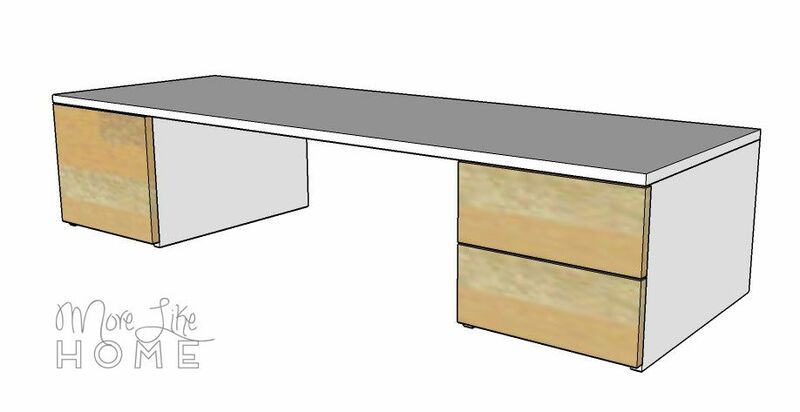 The drawers should line up flush with the front of the side boards (the top will overhang them by 3/4"). To finish, fill any holes with wood filler then sand everything down really well. This is the most important step for a professional finish! Start with a rough sand paper, then go over everything with a medium paper, then again with a fine paper. Once it's super smooth, finish it with whatever paint or stain and sealer you like. 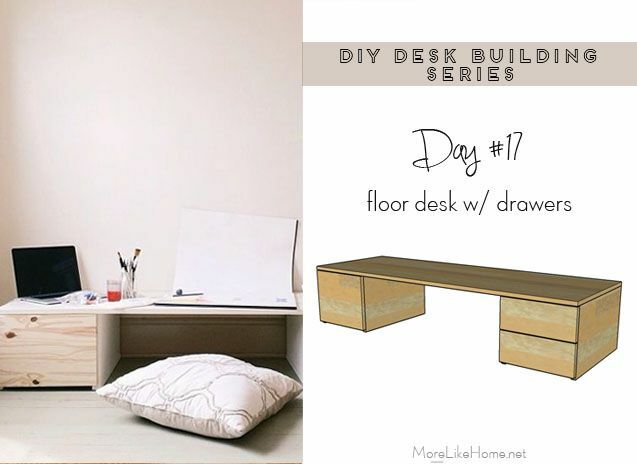 I'm loving the two-tone look of a white desk with stained drawer fronts! Attach drawer pulls and you are done!